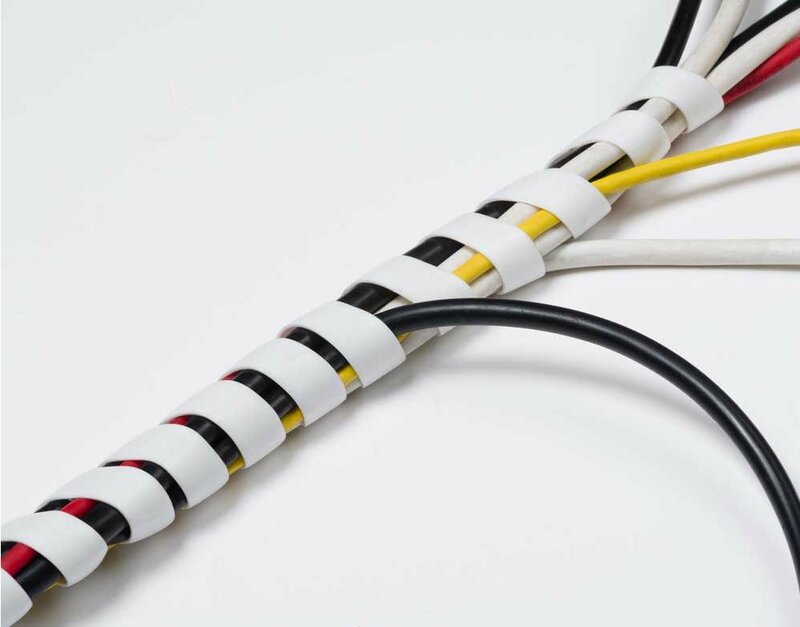 The spiral cable wrap offers the ideal way to tidy and protect wires and cables in the home, office or factory floor. 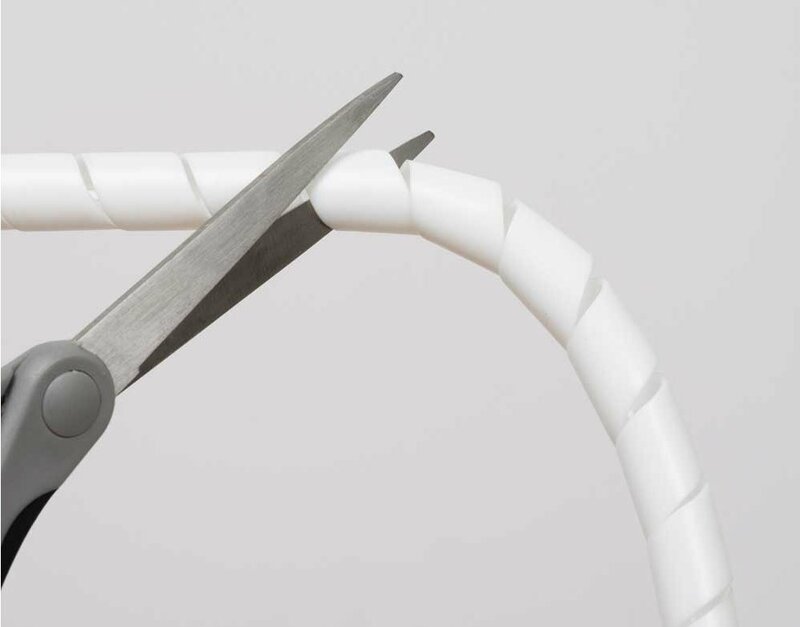 The flexible cable wrao is 2.5m long and 10mm in diameter (which can expand up to 40mm) and can be easily cut to size with scissors. 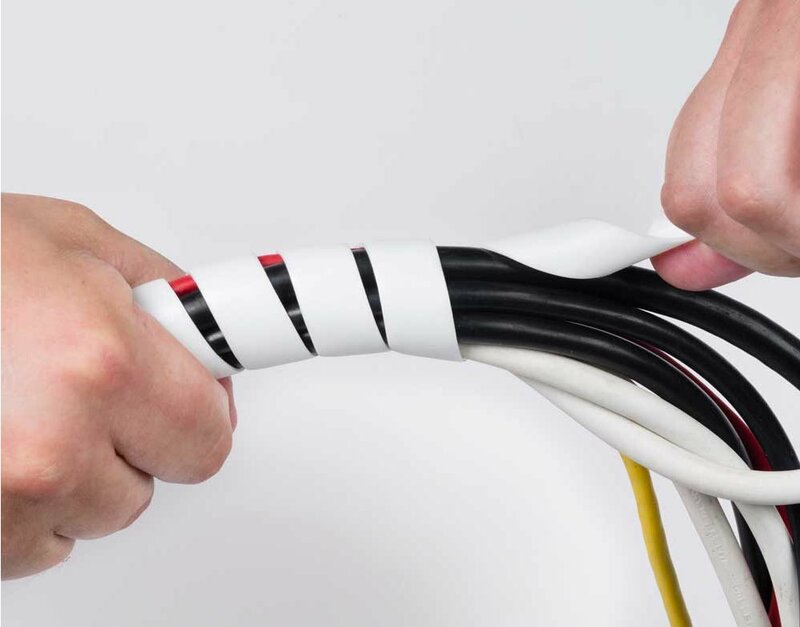 It is versatile by the users ability to simply wrap by hand around the wire bundle according to the diameter of the bundle (up to 40mm). 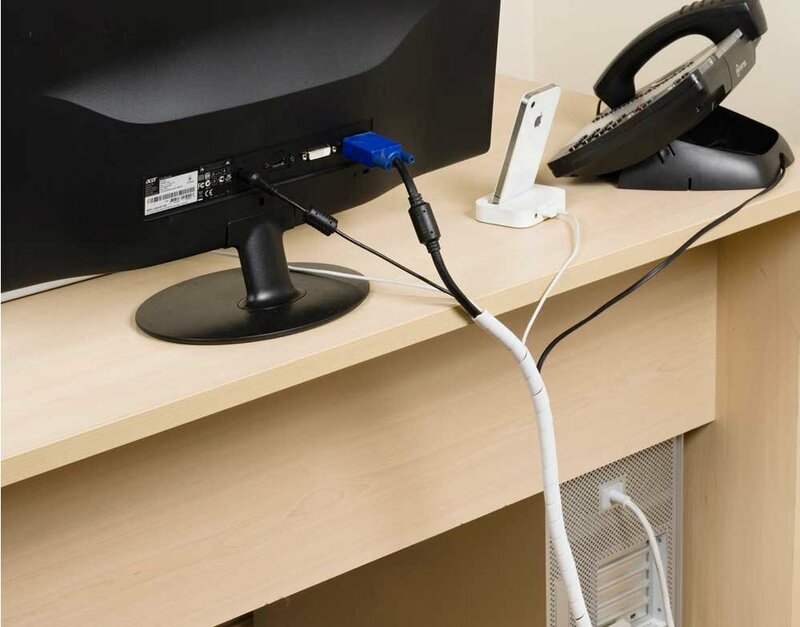 Also cables can branch out along the length at any point and in any direction.